Attic, Mumbai pleasantly surprised us when we discovered their home decor line. Mainly being a fashion store. But their Colaba, Mumbai store has all the home decor candy. 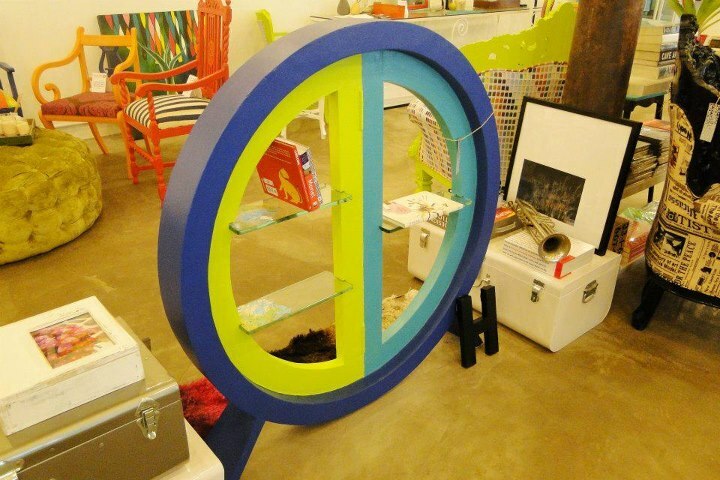 This quirky, eclectic line is very young and hip. Great if you want the New York Soho look. 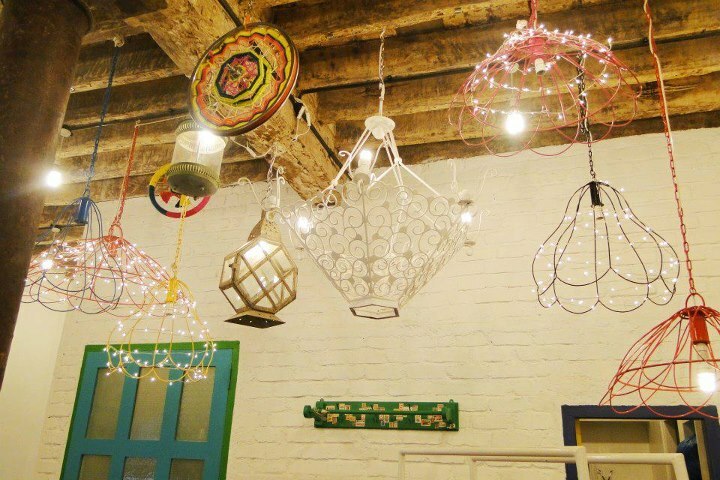 We love the pendant lights wrapped around in fairy lights. 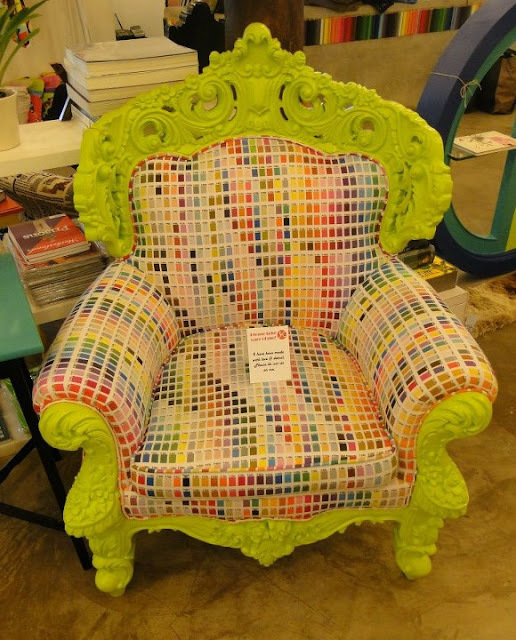 The Pantone throne was another instant eye catcher. Using the Pantone shade cards as inspiration for the fabric. Wish they had painted the chair in Pantone’s color of the year – Tangerine Tango! 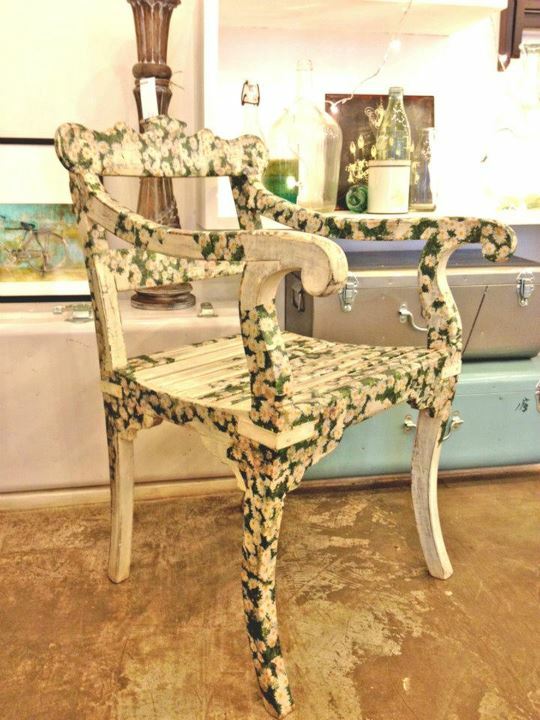 The decoupaged chair looks very delicate. Great to place on a girls study desk. 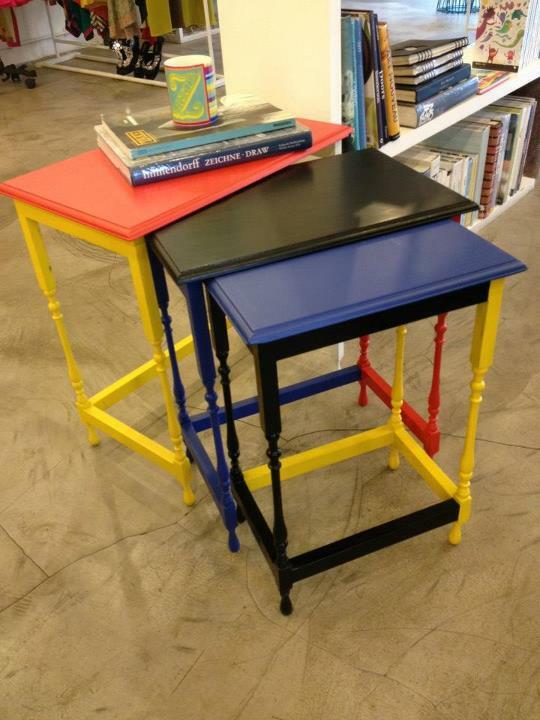 The nesting tables inspired by infamous artist Piet Modrian. His work emphasises on the use of primary colors. The esesence of the entire line is to give vintage a new life. All we have to say to the Attic team is, Keep Transforming! 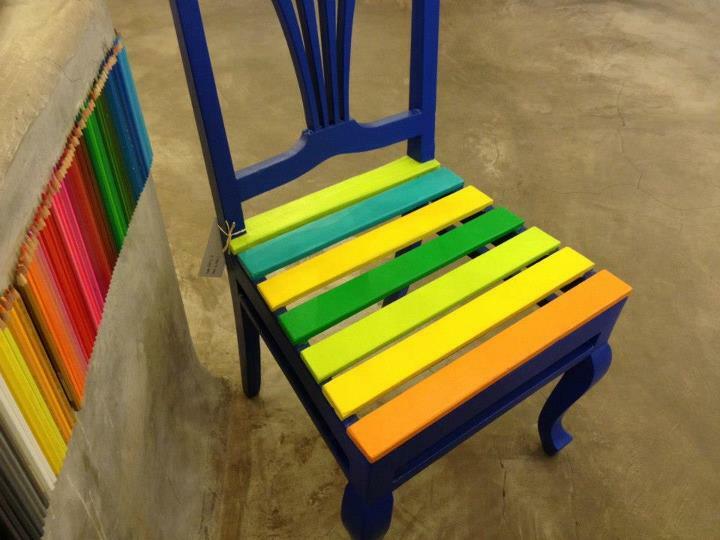 At the Attic store we spotted a great Pataki DIY # 3 – The colour pencils lined up on the cash counter was very creative. The cash counter has been finished with polished concrete. Then a full sets of brand new color pencils have been bought. The key is to get a glue gun and stick each pencil on neatly in a line. Place them in the same colour format that has come in the box. This is important to get the visual correct. Very easy DIY for your kids rooms or study areas.